Mary Mary is an American gospel group, consisting of sisters Erica Monique Campbell (born April 29, 1972) and Trecina "Tina" Evette Campbell (born May 1, 1975), and are often credited for broadening the fan base of contemporary gospel in the 2000s by introducing elements of soul music and hip hop. Erica Atkins-Campbell and Trecina Atkins-Campbell were born in Inglewood, California. The Campbell (formerly Atkins) sisters grew up as part of a large family of nine children in Inglewood, California. Their parents are Thomasina (An evangelist and choir director at the Evangelistic Church of God in Christ) and Eddie (a youth minister). Because of their proximity in age, the two singers grew up closer to one another than to any of their seven siblings. The sisters quickly entered the world of church choirs, traveling gospel shows, and some television productions. All nine Atkins children were on the Bobby Jones Gospel show on BET. The sisters had their sights set on making music a career and enrolled at El Camino College to study voice. There they ran up against the divide between academic music studies and the popular musical world. "We had to study classical and sing arias, which was fine," Erica told the Times, "but the teachers would tell us if we sang anything else it would damage our instrument." The sisters toures with the 1995 Michael Matthews traveling gospel show Mama I'm Sorry and Sneaky. Each sister subsequently toured as a backup singer for a variety of R&B acts including Brandy. A meeting with producer Warryn Campbell led to their song publishing deal with the giant EMI music conglomerate and a series of songs that landed on the soundtracks. They wrote "Dance" and performed it with Robin S. for the soundtrack to the 1998 film Dr. Dolittle; "Let Go, Let God" for The Prince of Egypt Inspirational, one of three soundtrack albums for the film; and songs of theirs were recorded by Yolanda Adams and 702. At the same time, Mary Mary as a musical entity took shape.T he sisters' profile in the gospel industry was raised when their songs "Time To Change" and "Yeah" were recorded by Yolanda Adams on the Mountain High... Valley Low CD. The duo was subsequently signed to Columbia Records/C2 Records and decided to perform under the name Mary Mary, honoring Mary, the mother of Jesus and Mary Magdalene. They were first gospel act to record for the industry giant Columbia Records since Tramaine Hawkins in the mid-1990s. Their first single, "Shackles (Praise You)" became a crossover hit, being popular with gospel, R&B, and pop audiences. It was a Top 10 R&B and Top 40 pop hit, and peaked at #28 on the Billboard Hot 100 chart. It became the first gospel song in five years to crack the R&B top ten and gained wide exposure on the MTV video cable channel. The album was a huge success because it offered a younger, hipper version of gospel that audiences could relate to. 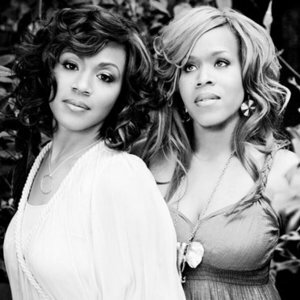 Their first album,Thankful (Mary Mary Album) in May 2000, which would go on to win the Grammy Award for Best Contemporary Soul Gospel Album, and a second single, "I Sings". Peaking at #1 on the Gospel album chart and at #59 of the overall Top 200 chart, Thankful was certified Platinum for sales of 1 million copies in the USA. Both singles were also hits in the UK and Europe, and to this day remain popular with Christian youths in the US, Latin America, and Europe. With their second album Incredible, the duo was able to maintain their success. The record, soon after its release, went to #1 on the Gospel chart, and was able to enter the Top 20 of the Top 200 album chart. Incredible was later certified Gold for 500,000 copies sold in the United States. The album's singles In The Morning and I Try became relatively large hits within the contemporary gospel nation. After taking time off to have children, their third album Mary Mary appeared. It became the duo's first album to enter the Top 10 on Billboard and was later on certified Gold for sales of 500,000 copies. The first single "Heaven" containing a sample from seventies soul trio the Honey Cone's "Want Ads". Heaven made history and broke chart records as it had an unprecedented 9 week run as the #1 record on Billboard's Gospel Radio chart. The second single, "Yesterday", also became a hit, especially on the Adult R&B charts where it peaked at #10. On the R&B/Hip Hop chart, the song became their second biggest hit since "Shackles" in 2000, reaching the #53 spot so far. On October 10, 2006', the recording group released their most recent album inspired by Christmas songs and is called A Mary Mary Christmas.